Most tax problems are between you and the IRS. The IRS takes it seriously, but ultimately just wants to get its money out of you. the rules are completely different. A third group of people are involved – your employees – and the IRS will step in to protect them. When you don’t pay your payroll taxes on time, the IRS considers you a thief. To the IRS, you’re stealing your employee’s money, and they take it very seriously. 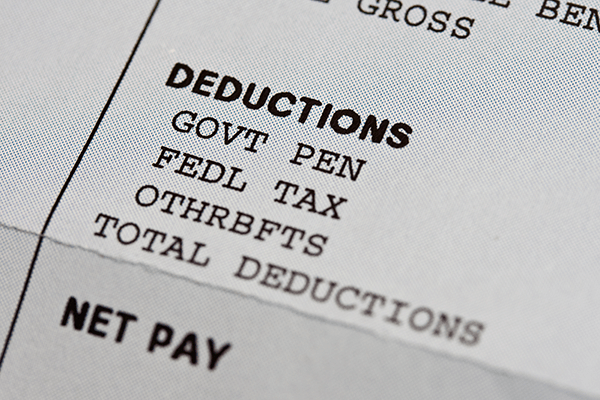 Payroll tax penalties work differently from regular income tax penalties. The combination of failure to file, failure to pay and failure to deposit penalties can increase your tax bill by 33 percent, not including interest, if you’re just 16 days late paying after you file your 941 late. This is a drastic increase — much more than what it would cost to borrow the money to pay the taxes. If you’re behind on your payroll taxes, though, penalties and interest are the least of your worries. The IRS has no tolerance for unpaid payroll taxes and will shut down your business to prevent you from continuing to leave your payroll taxes unpaid. It can padlock your doors, seize your assets and auction them off and tell your customers to send their invoice payments to it, instead of to you. the IRS collection office can do this quickly, too. In addition to your business, the IRS can come after you personally. The Trust Fund Recovery Penalty can come after you personally even if your company is a corporation, and it can be up to 100 percent of what your company owes. It can also file federal criminal charges against you personally. The law is written to make it easy for them to prove that you didn’t intend to pay the taxes, too. The IRS is watching you. They love cracking down on small businesses, because they know that there is frequently money there to collect. If you have a payroll tax problem and are behind on payments, do not contact the IRS. If you say the wrong thing, you could be shut down. Instead, immediately hire a professional representative to talk with the IRS for you. His expertise in working with the IRS may be the only way you can keep your business, keep your personal assets and stay out of prison. Contact us today.